Many students with autism have sequencing goals. Sequencing is one of those oh so important basic concepts that doesn’t always come easily. Many of them also have scissor goals. And since I LOVE tackling more than one goal at a time, I made these no prep sequencing cut and paste pages. The packet includes 15 different 3-step sequences with two levels each (3o total pages). Level one has word cues of “First, Next, Last” in addition to the picture on each individual piece. I considered using numbers 1, 2, 3 but I wanted to incorporate the terms first, next and last into the task. Many of my students rote learned their numbers and could easily rattle of 1, 2, 3 without acknowledging their meaning in a sequence. Level two only has the pictures and students must put them in order independently. For both levels, the pictures are not in order before they cut. 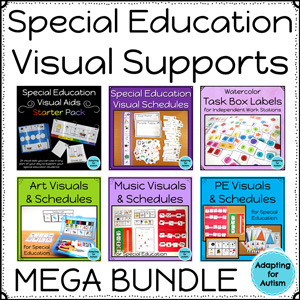 These are perfect for structured teaching classrooms and during independent work stations. 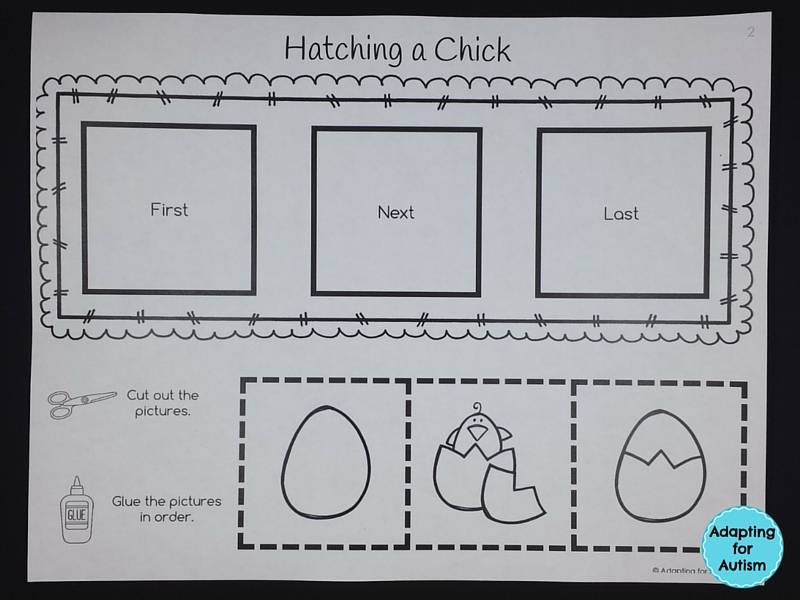 Each page includes its own visual and written instructions but your student will catch on quickly. Repetition is king! I wanted each piece to be large and only require straight cuts since most of my students are at the snipping level of cutting. 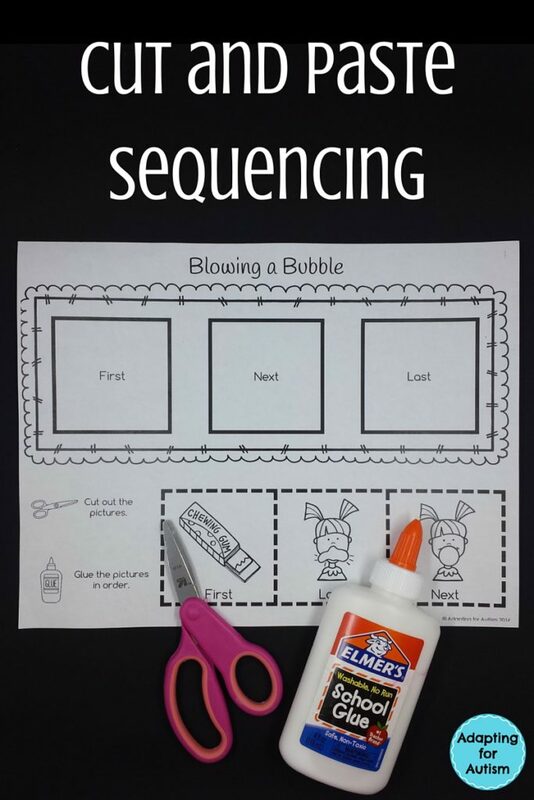 Also, the primary goal of these is to practice sequencing. In addition to the straight cuts, I use adapted scissors in my classroom. I experimented with everything from Dollar Tree versions with the little plastic piece in between the finger holes (my kids break them in about 3 minutes) to loop scissors (eventually the plastic wears out and they barely open) to self-opening ones with a spring on the hinge. I like self-opening scissors the best because they get kids used to putting their fingers in the holes. After transitioning to regular scissors from loops, I’m starting over because they want to put their hands on the outside. I made these in black and white since they are a one and done activity. There’s really no need to use color ink for something I’m going to have them do as a work task. 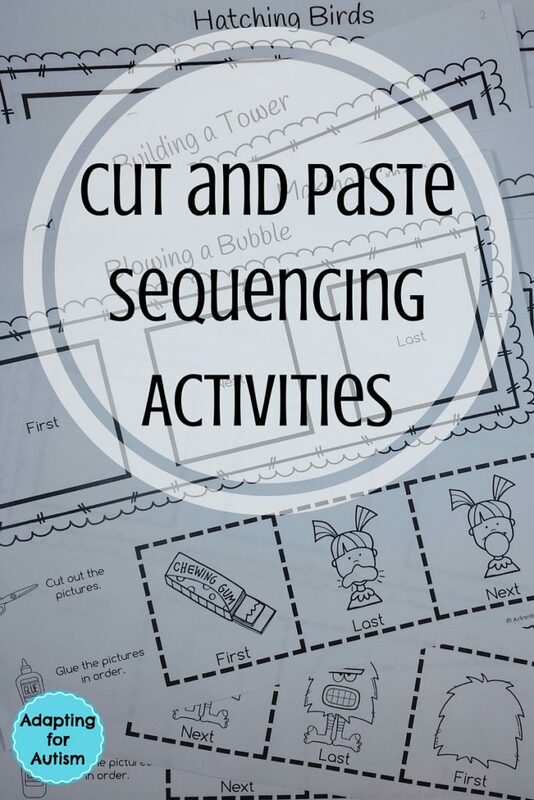 You can save a few here and there to assess progress on cutting, but most of the time cut and paste activities go in the garbage (except for the students who treat each activity like a treasured masterpiece!). You can find the packet here! 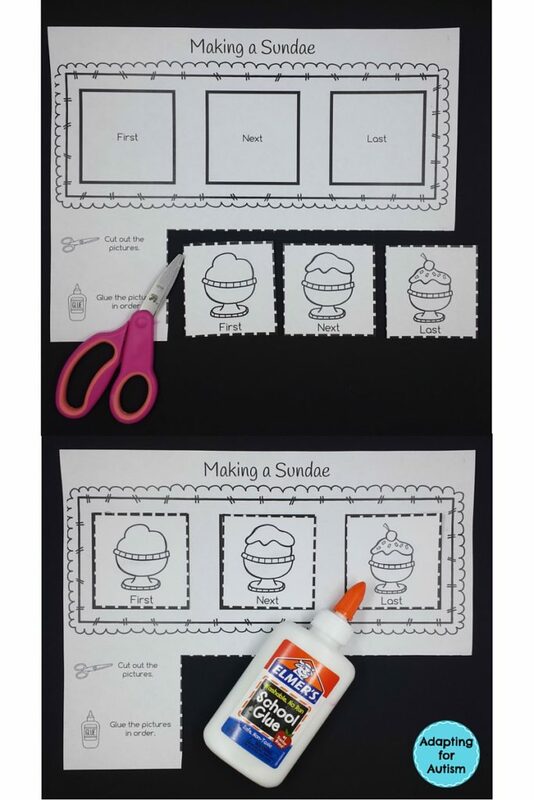 ← Alphabet File Folder Tasks for Everyone in your SpEd Class!